The Faculty of Science and Engineering (FSE) is the faculty of the University of Groningen that harbours the research and education in the sciences, mathematics and engineering. It is mostly situated at the Zernike campus, the UG expansion in the north of the town that is named after Nobel prize winner Frits Zernike (1888-1966), professor at the faculty. About 5000 students, 1300 academic staff and 1100 PhDs find their way to the faculty each day. 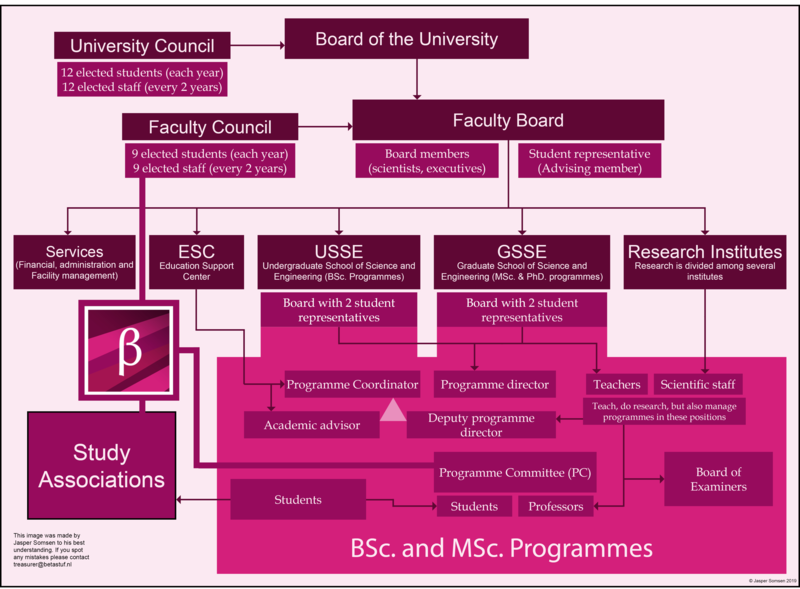 Bètastuf tries to be a connecting factor between the students of the FSE. Below you can find a picture representing the different parties that operate within the university.